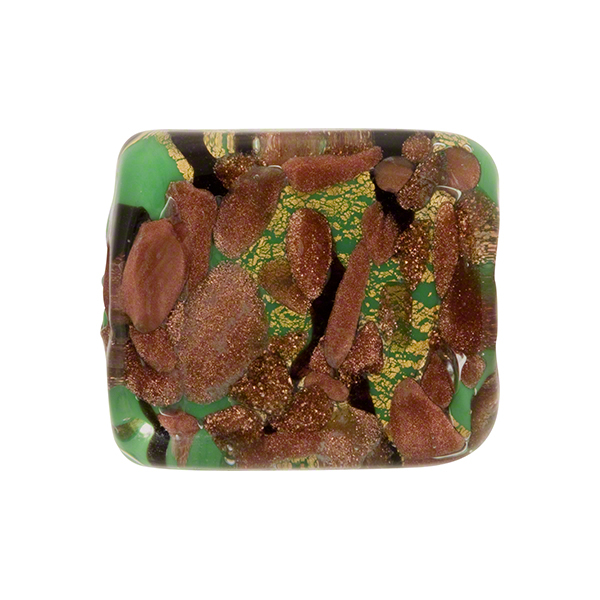 Handmade rectangle Venetian Bead featuring aventurina and swirls of black and 24kt gold foil over opaque colors and submerged beneath crystal clear glass. Size measures approximately 20mm by 18mm rectangle and 5mm thick with an approximately 1mm diameter hole in the center. The color on this one begins with a base of opaque Green and with splashes of 24kt gold foil, aventurina and swirls of black. 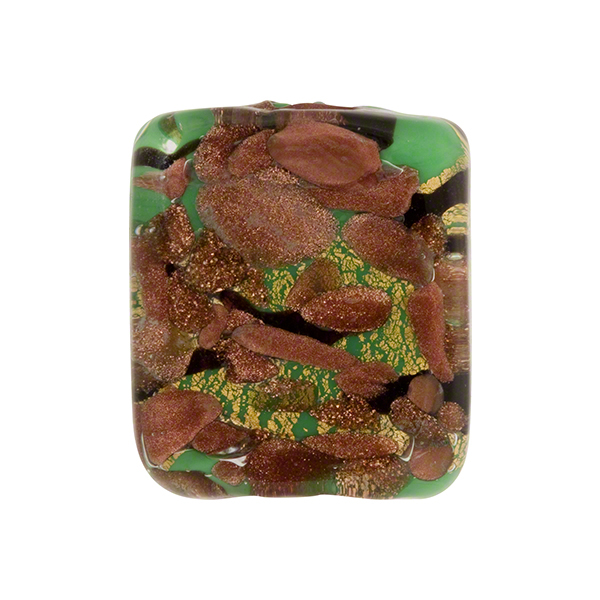 The entire bead is then encased in clear Murano Glass.